The UDS2100 device server enables users to connect, manage and control just about any piece of equipment with a serial port from virtually anywhere over Ethernet or the Internet. 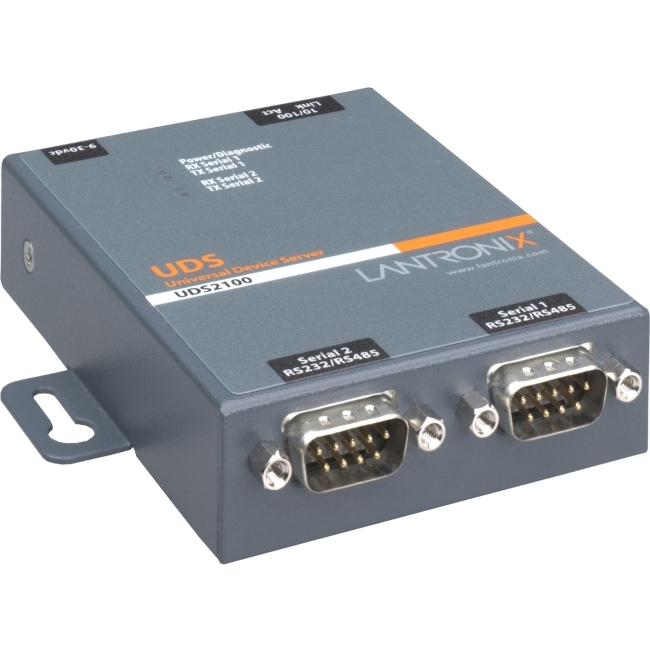 With the UDS2100, two pieces of equipment of virtually any type can be added to an Ethernet network in a matter of minutes! This dual-port device server is a quick, simple and inexpensive way to bring the advantages of remote management and control to equipment not currently connected to a network. The UDS family of device servers enables users to connect, manage and control just about any piece of equipment with a serial port from virtually anywhere over Ethernet or the Internet. With the UDS2100, two pieces of equipment of virtually any type can be added to an Ethernet network in a matter of minutes! This dual-port device server is a quick, simple and inexpensive way to bring the advantages of remote management and control to equipment not currently connected to a network.